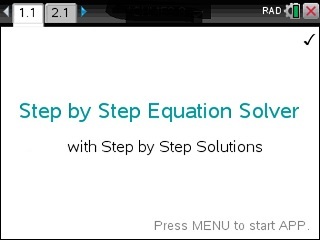 Solve any Equations or Systems of Equations Step by Step. Works for any function. Also, performs Step by Step the Quadratic Formula, Complete the Square, Solve Equations via Grouping & Substitution and much more.